How Can I Revise My Sent Proposal/Contract? 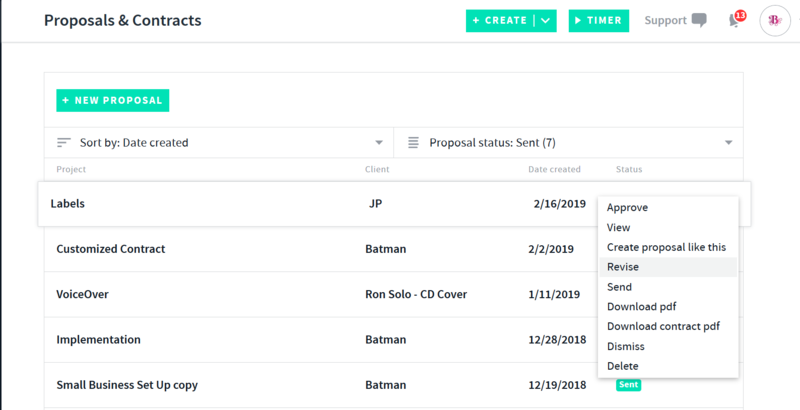 You can seamlessly revise your proposal/contract that has already been sent with AND CO.
First step in revising your "Sent" proposal/contract is to select the Sent proposal/contract and you can do this via the Proposals & Contracts tab > Select the Sent proposal/contract. Once selected you will see the proposal/contract in view mode where you can make changes/edits. Remove the attached contract or add a contract to a proposal. You will then be taken back to a preview of the proposal/contract in edit mode where you can make further changes to the proposal page and contract by selecting the highlighted yellow boxes simply by selecting them. For the Proposal you can select the yellow + symbols to add in text, images, tables, columns and attach files. 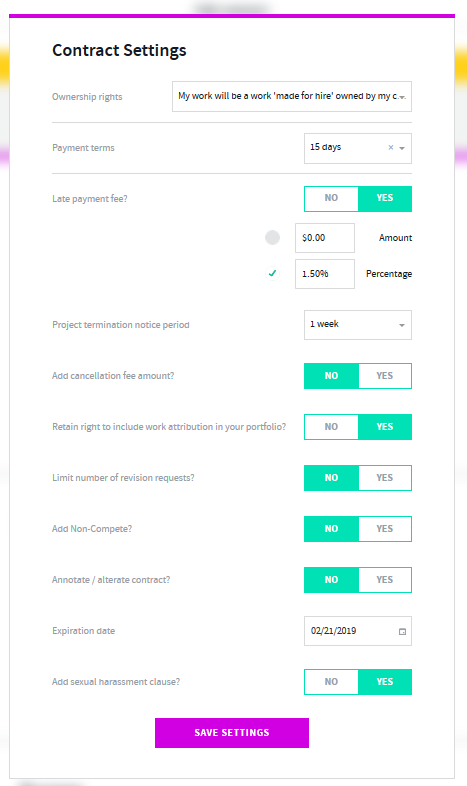 Once you have made your changes/revisions you can select to save the contract as a draft or sign and send the contract to your client for review. If you are revising a previously sent pending proposal/contract the client will receive a new email with a updated link to the contract. Please advise your client to review the recent email with the revised/updated link.